United Aircraft Corporation of Russia (UAC), which under one company represents the most well-known Russian aviation brands Sukhoi, MiG, Tupolev, Yakovlev and others, is today one of the world’s biggest manufacturers and suppliers of aircraft, both military and civil. In December 2016 as part of expanding export UAC was given a military-dedicated foreign trade license to be implemented on a direct basis. The military-dedicated foreign trade license has been issued by Federal Service for Military and Technical cooperation. This will help UAC implement maintenance and repairs of equipment previously delivered abroad, which includes every Su, MiG, Il, Yak and Tu airplane. Thanks to its success in foreign trade among other things UAC is surely one of the world leading aircraft manufacturers. It is also in the Forbes-rated list of the world’s biggest public companies. UAC’s revenues have been lately growing average 34% per year. Sukhoi Superjet 100 civil airliners, Su-30 and MiG-29 fighters, Yak-130 operational trainers are among the most popular aircraft exported by UAC. Alongside with the right for direct maintenance and repairs of the equipment previously delivered abroad, the document also specifies UAC’s capabilities to update such equipment and train foreign personnel how to maintain and repair UAC products. Besides, the license authorizes UAC, PAO to establish joint ventures abroad which can maintain and repair aircraft. According to experts, it is Russian aircraft which in terms of life-cycle cost appear today the most attractive ones at international markets. India has been for many decades a key foreign partner of Russia involved in aircraft among other things. Cooperation between the two countries is dedicated to military and civil aircraft supply, co-designs and establishing joint venture network under ambitious Make in India program. MiG-29K/KUB, MiG-29UPG, Su-30MKI battleplanes, A-50 long-range radar detection aircraft, Mi-17V-5 and Ka-226T helicopters are among the most large-scale cooperation projects. Moreover, it is a case of very large contracts. Thus, Su-30MKI program involved about 300 planes, both finished ones and assembly sets, which were later assembled in India. Totally over 150 Mi-17V-5 and about 200 Ka-226T helicopters have been delivered. The most important joint aircraft-building programs being currently at various progress stages include Su-30MKI licensed production, repairs and upgrade, Indian Air Force MiG-29 upgrade, Indian Navy ship-based MiG-29K/KUB technical support, production of aircraft engine AL-55I dedicated to Indian Air Force trainer IJT as well as fifth generation fighter (FGFA) mutual development program. Meanwhile supplies of Russian aircraft are rather multi-faceted. Thus, in previous May in Goa an official ceremony was held to get into line of 300th squadron of Indian Navy new Russian-made MiG-29K fighters which replaced outdated British Sea Harriers. We are glad to say that all ordered planes have been already delivered. Ship-based MiG-29K is a multifunctional ‘4++’ aircraft designed to accomplish naval air defense missions, gain air supremacy, kill above-water and ground targets with smart munitions day and night, in any weather. 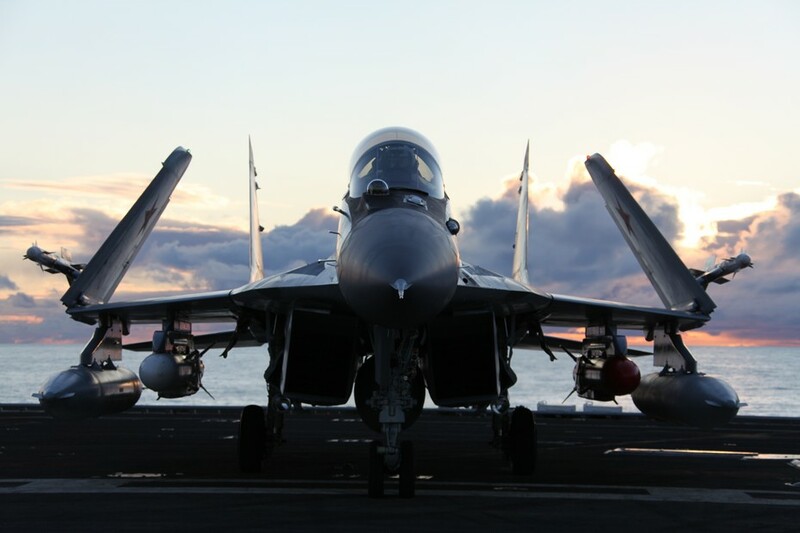 The planes have improved highly composite airframe, quad redundant integrated digital fly-by-wire control system, significantly reduced radar signature, increased fuel volume and delivered ordnance, open architecture avionics. UAC products include many aircraft which are proven international bestsellers. Thus, Su fighters exported by Russia number in the hundreds making these fighters come second and first worldwide, and outperforming Boeing among others. In 2011-2014s Su planes were the first in amount: in four years customers have received 139 aircraft, while Lockheed Martin delivered only 89 and Boeing delivered 60 planes. UAC places big stakes on supplying battleplanes given that many countries plan to have their aircraft fleets upgraded. Among the most world popular planes is Yak-130 operational trainer which has been already delivered and being delivered to many countries. This is a top-class aircraft. It can be upgraded as a light fighter or close support plane which is highly demanded by Indian Air Force. However, Russian aviation export is notable not only for military aircraft. In recent years rather good results have been shown by civil segment for which UAC has been making big plans. Among Russian civil aircraft designs Sukhoi Superjet 100 regional aircraft of a new generation is the most popular at foreign markets. The aircraft combines new aircraft engineering technologies, passenger convenience, significant economic advantages for airlines, proper environmental specifications. The key advantage of Sukhoi Superjet 100 is the lower cost of one passenger carried as compared to its 100-seat competitors. Operational costs are also minimized due to higher fuel efficiency and lower take-off weight. According to the aircraft operation study, its ownership cost is averagely 15-20% lower than the other similar class aircraft. The highly competitive lease rate supported by a state guarantee of depreciation value is also worth being taken into account. Meanwhile UAC keeps working on creating 150-210-seater MS-21 narrow-bodied aircraft family. Estimated volume of production is up to 72 aircraft per year. Even today a stock of orders and applications for 175 aircraft has been made. There is also interest towards the future aircraft in foreign markets. ‘We should sell internationally hundreds of aircraft. This is our goal as to civil segment’, emphasized Yuri Slyusar. According to UAC President Yuri Slyusar the Corporation has stable rate of mass production of Sukhoi Superjet 100. There are plans that every year 40-50 such aircraft shall be delivered to customers. Today about one hundred SSJ100s are being operated including those in other world regions, from South America to Southeast Asia. Currently with available manufacturing capacities UAC enterprises are capable of producing up to sixty Sukhoi Superjet 100 per year. The Russian aircraft sparkles profound interest in Southeast Asia and Latin America. Experts confirm that in the context of 70-100-seaters this aircraft is becoming the most attractive for many international airlines. When interviewed Yuri Slyusar says UAC is intended to focus on further development of Sukhoi Superjet 100 aircraft and soon offer customers a wide range of 75-130 seat regional planes. It is worth noting that today business class cabin SSJ100s are also available. Following the results of the set of measures including auxiliary fuel tanks, wing tips and other engineering solutions the range of business version SSJ100 will be increased to enable about 8,000 km-long nonstop flight. MMiG-29K/KUB, MiG-29UPG, Su-30MKI battleplanes, A-50 long-range radar detection aircraft, Mi-17V-5 and Ka-226T helicopters are among the most large-scale cooperation projects. Moreover, it is a case of very large contracts. Thus, Su-30MKI program involved about 300 planes, both finished ones and assembly sets, which were later assembled in India. Totally over 150 Mi-17V-5 and about 200 Ka-226T helicopters have been delivered. UAC, PAO has laid down an up-to-date forecast for civil aviation market to be developed within the next 20 years. According to the forecast the volume of world air transport service will keep growing and annual growth rate account for 4.6% per year. The leaders of the current growth rating are still the USA and China which have large domestic air transport market as well as UAE, UK and Germany whose airlines carry out the majority of international air transportation. Russia remains the country with high technology aviation and has 7th rating position in terms of air transport service as of 2015. The sanction policy towards Russia has had a negative impact on domestic air transport development as well. Nevertheless, despite overall decrease of air transportation the growth of domestic passenger traffic is stable. Russian airlines have been adapting to changing economic conditions and finding mechanisms to optimize their activities. All this helps us look to the future with cautious optimism and suppose that by 2020 the volume of Russian air transportation will have reached its pre-crisis level. Annual growth rate of national passenger traffic within the next 20 years is to be close to international rate and equal to 4.4%. According to the forecast a demand for new aircraft within the period of 2016-2035 will account for over 41 thousand vehicles. As a tradition narrow-body long-range aircraft with over 120 seats will enjoy the most popularity. The greatest overall demand for new aircraft is expected in Asia-Pacific region, mostly due to China. The next in importance will be traditional big markets of Europe and North America. Russia is to have bought about 1,130 new aircraft by 2035. The most popular are to be narrow-body planes with over 120 seats (710 planes will be required). There is an expected demand for up to 200 60-120 seater aircraft and up to 130 wide body planes. About 90 turbo propelled and jet aircraft with up to 60 seat capacity will be demanded too.